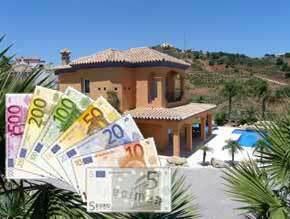 Renting your property short term with Time in Spain Holidays S.L. Whether you are experienced in renting your Spanish property for holiday usage, or you are new to the idea, renting your property to holiday makers can be an excellent way of generating a cash income and may be an attractive and appropriate option for you. Whether you own a studio apartment on a golf course in Estepona or a six bedroom villa on the sea front in Marbella, our expertise in holiday rentals on the Costa del Sol ensures you receive the best possible return. By focusing on quality of service to you, the property owner, and the holidaymaking client, we have become one of the most successful agents on the Costa del Sol where it counts - high occupancy rates coupled with high income. As such, repeat bookings from satisfied customers are common. We would be delighted to speak with you and discuss your specific property and advise on how best to maximise its potential. Please call us on (UK) 0800 599 9748 or Spain (0034) 952 798 305. In order to achieve more rentals for properties in the current challenging market, we feel it is necessary to invest more in quality and diverse advertising. Time in Spain holiday rentals will always spend a far greater amount on advertising your property than the amount shown for our services. Since there is now far more competition than ever to achieve rentals from the reduced number of visitors to Spain we feel that is imperative to invest more in additional advertising and in a wider selection of countries and languages. To keep our commission rates at a reasonable level, we have decided to pass on some of this advertising cost to our clients. At Time in Spain we believe that to be competitive in a difficult market, we must provide a broad spectrum of properties to the holidaying public (which in turn drives more visitors to our website). In offering smaller rental properties as well as the larger ones, we are able to offer to the public accommodation that will suit their needs. Of course, we have to bear in mind the possible returns in achieving rentals in these different types of property and fix the level of expenses vs. income. * If you decide to use your own cleaners then it is necessary for you to keep them informed of all bookings. This option is designed for owners who wish to push their property far harder to encourage the maximum number of rentals possible. Extra effective advertising = extra rentals. We will concentrate additional advertising on numerous websites worldwide maximising exposure in Germany, France, Spain, Ireland and the Netherlands (using their local languages). There is a lot of work involved in setting up adverts on various websites; many of which require maintenance of the availability charts while bookings are taken. This is costly in both set-up time, translation and ongoing adaption to market conditions. It is for this reason that we must charge extra for this service. You will, however, get value for money as we are able to negotiate large disounts with many website portals for bulk advertising. Time in Spain Holidays S.L. will spend a greater amount on advertising your property than this. We will deduct the 600 Euros from the the rental money achieved. Essentially this will only amount to the cost of one or two weeks rental income. While this is obviously common-sense, it does require work. As most owners do not live near their rental property it is impractical for them to attend to the basic maintenance necessary. This could be anything from changing a light-bulb to having a swimming pool leak repaired. In some cases they may have a friend locally who will look after things for them however these informal arrangements often run into difficulties. The other option is to have it professionally managed and maintained between and during rentals ensuring that your holiday clients have a trouble-free visit and are therefore more likely to re-book. And more importantly, to give the word of mouth recommendation to others that money just cannot buy. We recommend that you sign up to one of our Property Management Service options to benefit from the peace of mind of knowing your property will always be well cared for and look at its best. For owners of holiday rental properties we are giving a 15% discount on the annual cost of our property management services. This service will also include full pre-rental and post-rental checks on the property in addition to the timetabled ones within the service agreement. Owners not signed up for a Property Management Service can have ad hoc problems resolved for which our time is charged at 15€ per hour or part thereof (including travelling time) plus obviously the cost of labour and materials involved. Welcome packs - We can provide welcome packs for the tennants. These can be as small as a 5 Euros pack to a full shop. General notes - All charges are subject to IVA (VAT). Please note that in order to comply with Spanish law, we will only take on properties with a copy of either your Nota Simple or Escritura or a 20 Euros charge for us to order a copy of your Nota simple over the internet. We will also need to know your NIE number or the NIF/CIF number if the property is owned by a company. If you are interested in renting your property through us then please telephone us on (0034) 952 798 305 or fill in the enquiry form below and we get back to you shortly.